Thank you @meechuttso for the clips, love it . Ha ha..last night I just watched that scene from 'My Golden Life' , my favorite scene of this drama, the way a woman said she liked a guy, with those eyes, full of conflicted emotions, loved him but also sad because she can't be with him, angry with him and his family, wanted to thank him for the birthday gift, felt sorry for him to leave his family for her, felt hurt to see his face but still glad he kept being around her. All in one scene of acting and she had to shoot the scene in minus degree temperature. I decided to re-watch this drama because its 52 episodes are good for killing time while waiting for her new project. I heard that MGL is currently broadcast in Philippines and is dubbed in local language too. (The name 'Ji-an' was changed to 'Gillian'). Really want to see that version too but can't find the video. For me I think because her voice is unique and it can express her emotion/acting very well, so watching dubbed version audience may not get the 100% full experience of the drama and not know how brilliant SHS is. Currently '30 but 17' is also aired on my local TV channel, I tried to watch it but the dubbed voices of all characters are so bad (especially Seo-Ri and Jennifer) so I stopped watching that version. I want to see her with more screen time in a film too, so while waiting for 'Innocent' I just watch 'The Mother Earth' again and again and kept wondering she has been so good since then why she didn't get the chance until recently. 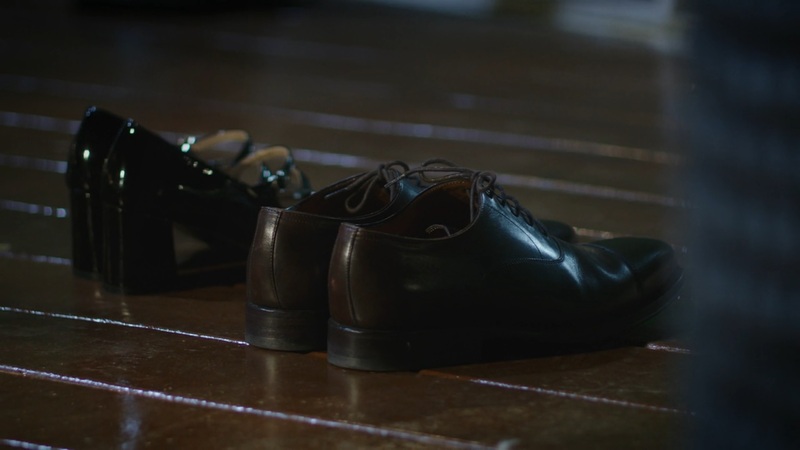 And if you plan to give shoes as a gift likes in the drama. I don't know whether SHS selected her shoes by herself in dramas, because I noticed that her sneakers in MGL and 30but17 are quite similar on decoration (and of course, all 3 pairs are from the same brand SUECOMMA BONNIE), probably that's her favorite brand . And if you're interested in buying a backpack. I should stop here otherwise this will become a product placement post. An article regarding BoH CF. I'm watching "Reply 1994" right now, and one of the characters just confessed to another one, but the confessor got blown off because it was April Fools' Day (April 1). The confessee thought it was a joke, but the confesser was serious. Did SHS have an interview where she said that exact scenario happened to her? Do you mean from this interview ? https://youtu.be/UzRNTvfO-_o (at 1.12 min), original post is from @meechuttso page 75-76. I'm seeing so many new dramas casting news e.g. jisung, lee sang yoon, and I immediately wished for a moment she hasn't took up that role opposite L hahaha. Just saying anyway . I'm still excited to see HER in her new role. I'm seeing so many new dramas casting news e.g. jisung, lee sang yoon, and I immediately wished for a moment she hasn't took up that role opposite L hahaha. I think probably it's policy from production team to forbid all casts and crew of 'Innocent' to post any pics or news now besides official news released. Because the IG of a crew member showing photos from the set ( including the one which we see SHS walking into the crime scene ) were also deleted already. Now I feel little regret that I didn't download and save those. (I hope that AQUTOP videos will not be deleted either just because now she's doing CF with Olive Young). I think currently there're 4 types of drama scripts right now for an actress. (1) script that focused on male lead and encourage top male actor to join, but the female lead role is not notable enough. --> I don't think SHS should choose this one just to be co-star with top actor and be back as 'supporting' female lead position again. (2) script that female lead role character is so unique, touching and lovable (such as Ji-an, Seo-ri, Sim-Deok) --> I think this is the one SHS and YNK are looking for, but that's rare gem of script to find. Having chances to find 3 scripts in a row with prominent female characters is very lucky for her already. There may be some script which is really good but more suitable for older actress (which I don't want SHS to join because I still want to see her with cheerful and lovely look). (3) script with both male and female lead roles are equally outstanding. --> I think that script would be sent to A++ top veteran or hallyu popular actors and actresses for consideration first. So for SHS, today although everyone accept her as very good quality actress, in terms of popularity she may not be at that top position yet for all PDs in the industry to offer her the role in top drama because they have to think first about their profit and how to make their drama reach widest audience. 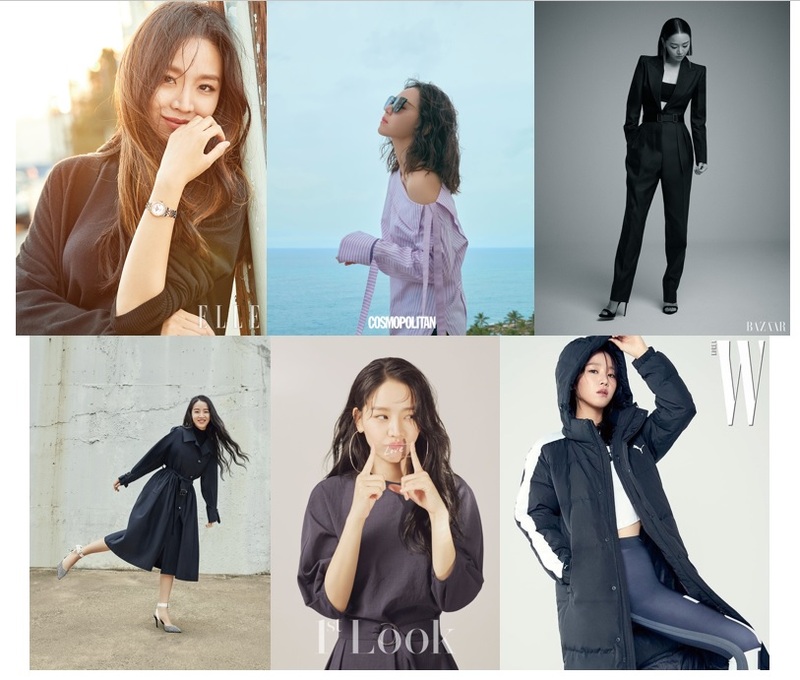 Therefore, she has to keep working and maintain her rising momentum until reaching the top popularity list (which I think we will see that soon). (4) script that female lead may not be remarkable as option (2) but still have some dramatic part for her to show acting ability and charming appearance. It may not attract top actor to join (which is good for me, because it means SHS role will be more dominant in the drama). I guess the PD team probably think that if the drama has SHS , she can help make it a lot better. And if they can't get big name actor but can find good acting rookie or popular idol with large fan-base as first male lead , plus quality second male lead, then the result and rating should be ok enough. ---> I try to think that 'One and Only Love' is in this scenario so SHS decided to do this. Hopefully I will not be disappointed (for the drama, because I'm never disappointed in SHS). So for﻿﻿﻿ SHS, today although everyone accept her as very good quality actress, in terms of popularity she may not be at that top position yet for all PDs in the industry to offer her the role in top drama because they have to think first about their profit and how to make their drama reach widest audience. Therefore, she has to keep working and﻿ maintain her rising momentum until reaching the top popularity list (which I think we will see that soon). I agree with you that she's not at that top popularity list yet. At least we all know she's going positively in that direction because she's winning more and more fans with her good acting. This is exactly what I'm thinking because I felt strongly that a good co star with on par acting as her will create better synergy and sparks to do well in their respective roles. It's like a butterfly effect, and this in turn can bring the best out of each other. Like how SH and SHS did so brilliantly in FE; and how SHS and YSJ impressed with their excellent acting in 30 but 17. I'm not worried at all about her but the co star can't get too bad or I fear it might somehow affect the cast or drama. I hope my worries are unfounded because I want her drama to do well too. P/S: By the way, I love those aqutop visuals too. They are by far my most favourite among all her endorsements to date. 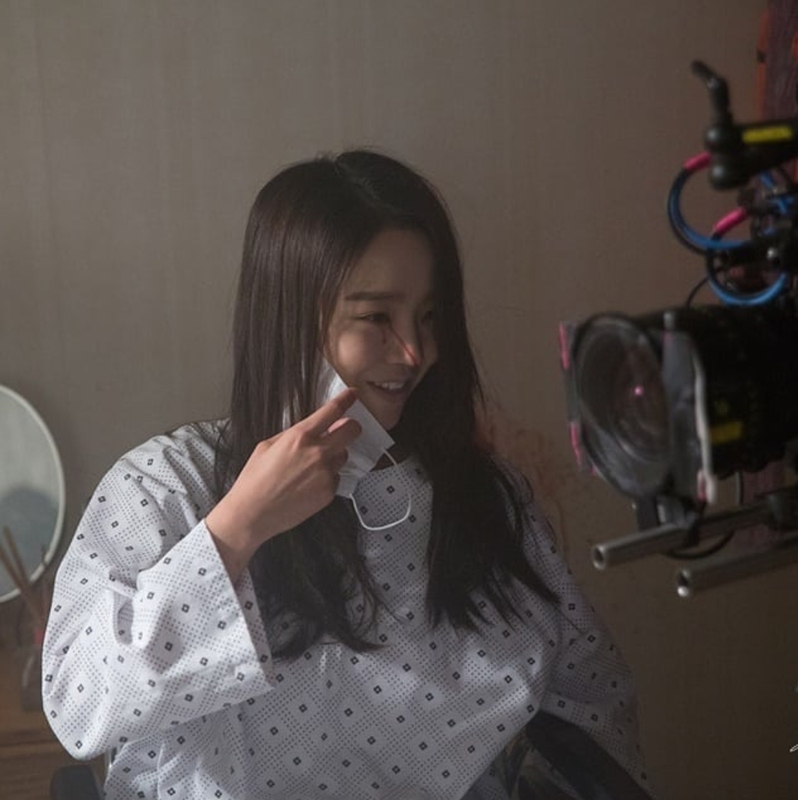 After watching Netflix's 'Bandersnatch' , an interactive movie that viewer can make decisions for main character which his actions lead to different story paths and different ending, it gave me inspiration to do the same fun for Shin Hye Sun. Because this is the first time for me doing this, my apology if this experiment is not good enough or too long. Our story began at Incheon Airport in year 2005, our young SHS helped this lost boy finding his mother. After helping the boy, she found out that she forgot her violin. Losing her violin, our SHS failed the music school audition. So she focused on her academic study instead and graduated with honors. So her mother asked her what is her next plan. Shin Hye Sun chose to stay and work in Korea. Because she could speak fluently for both English and Japanese and also her Korean diction is very good, she got at job as an MC which she had a very successful career. The latest MC job of her is at SBS Drama Awards which she met her current boyfriend, an actor Lee Jae Hoon. Shin Hye Sun went to L.A. and because of her oriental natural beauty and charm, she became the world no. 1 supermodel and the richest woman of the world. Decided to go to Finland, as she's working her part time job at the restaurant, she met a guy who seems familiar to her. In Japan, she studied soprano singing and met this guy 'Kim Woo-Jin' who loved reading and writing poems and also loved ramyeon the same as her. However, this guy's already married, so even she loved him, she had to say good-bye. 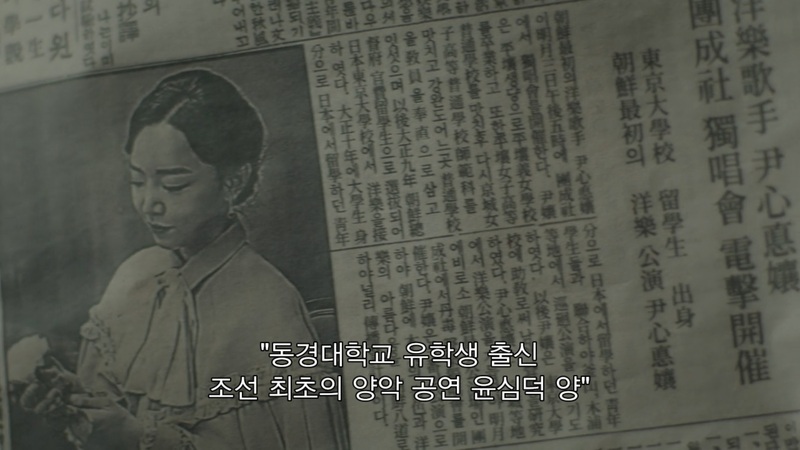 5 Years passed, and one day Kim Woo-Jin saw her photo in a newspaper. 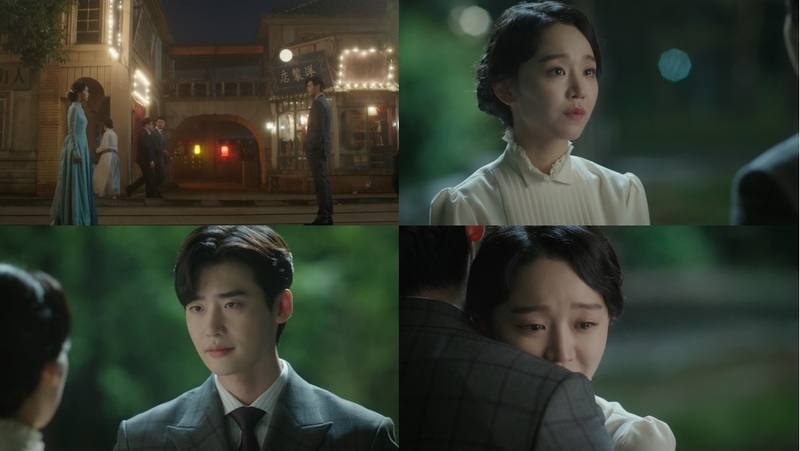 Seeing Woo-Jin again, made SHS realized how much she loved him. But her singing performance also made Japanese yakuza interest in her. He offered her to marry him. 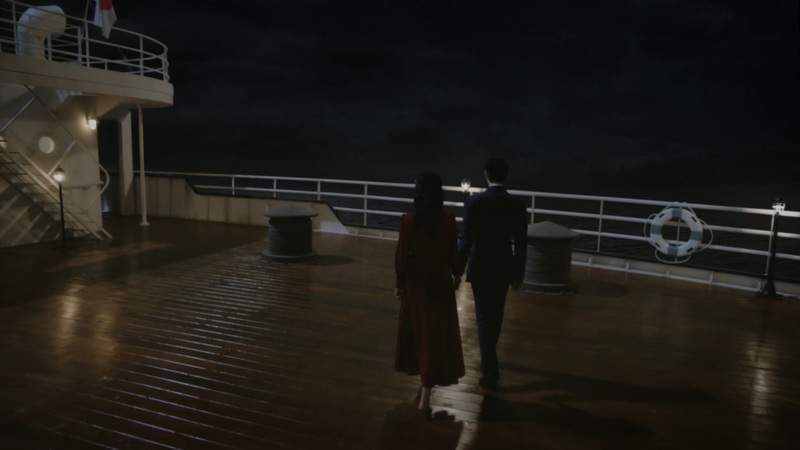 So SHS desperately asked Woo-Jin to forget about everything and go with her to the place where no one could find them. Situation of our couple was getting more pressure. Japanese yakuza threatened to kill her family if SHS wouldn't marry him and Woo-Jin's father forbade him from writing, reading, surfing internet, watching K-drama. Both of them couldn't take it anymore. "In this lonely world, filled with cruel suffering. What are you looking for ? " Woo-Jin decided to leave his family and go with SHS. However, one day before their leaving, yakuza knew their plan and captured Woo-Jin to their headquarter and tortured him. The more he got tortured , the more he became handsome, so the yakuza got more angry and tortured him more. Realized that one ordinary woman couldn't fight those yakuza, so she went up the mountain to find a teacher who could train her combat and weapon skill. After finished training , Shin Hye Sun (code name 'Pink Raccoon) formed a squad team with 9 handsome ex-military mercenaries (whose code names were their discharge date). They fought their ways into yakuza's headquarter. She used her fatal karate chop to defeat 2 yakuza big bosses and helped Woo-Jin out. Woo-Jin was wounded from tortures, so SHS put him in the cart and take him to see Dr. Jennifer PhD., a famous robotic doctor asking for help. But Woo-Jin was tortured for many days and his wound was too severe, so Jennifer just said "No, no, no .... If only you take him to me earlier...."
And SHS devoted the rest of her life being a prosecutor to bring those criminal to justice. whew. Still catching my breath from back reading all your updates. Can't may come any faster, please?!! And can someone tell me where are these from? Because the pattern on her dress is not the one in 30but17. Is these from old drama ? 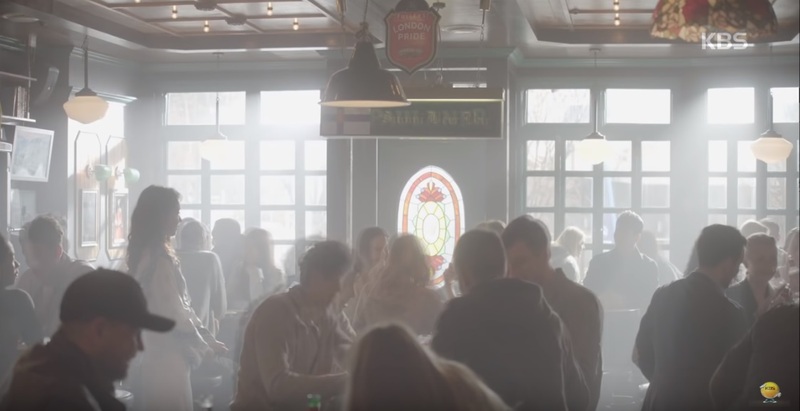 Or from new CF? I would like to guess that it's from some promotional video for 'One and Only Love' but wouldn't it be too soon for the shooting ? Latest post from her manager. Oh..Thank you @Ni Wen glad to know the answer, but also sad that's not from her new work. 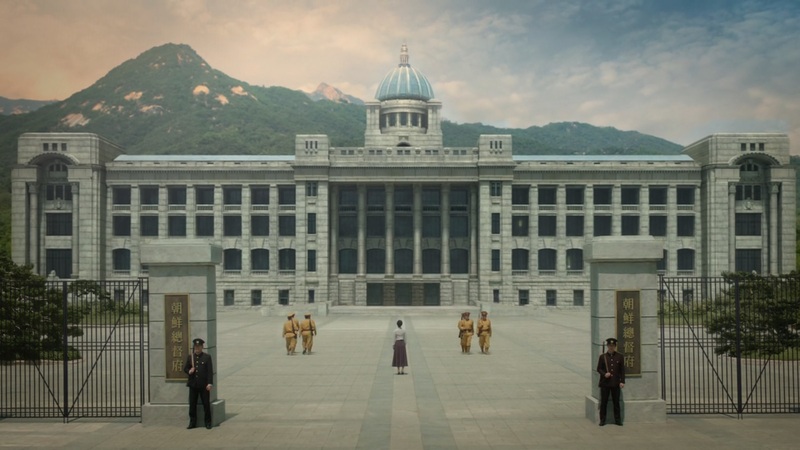 I think you are correct @Ni Wen I just checked the dress pattern , it's from the same hospital in Secret Forest. At least we got this new clip from CARLYN . It's weird. KBS IG deleted their Dan My Only Love "coming soon" post few hours later after posting. I hope everything is ok... because I don't get why they would delete their post within a few hours for no reason. This is funny! The person who posted this is a genius! Never realised they were in the "same drama" before their mv collaboration LOL! Actually I don't really remember this scene because I have erased unnecessary memories of mgl haha. New cast Kim Bomi joins in. But why has it suddenly became JTBC drama? Hmm... is that why KBS deleted their post? Or is it just error reporting? Seems like it's too soon for script readings for a drama that is 3 months away? Is SHS still shooting on "Innocent?" Hopefully, there is a break for her in between the two. Those are good pics, though. Like the last one the best. According to the typical k drama filming patterns (based on my own observations), filming for a drama usually starts two months before the premiere date and first script reading happens way before filming starts. Maybe, she's about to wrap up for Innocent now since earlier reports says it's due to finish by Feb. Judging from this, i doubt she will have any break in between since she's moving straight on from movie to drama. Cow mode in full force. Not sure if that's something I can say 'fighting' to you for attempting. I've yet to watch 2 of the episodes and am allergic to certain characters, so I stay away. I think you and I have same gif prefs, @immorethant. If you made that one yourself, I want to thank you. I've always liked her moves on that spin and the head motion, too. ---> I try to think that 'One and Only Love' is in this scenario so SHS decided to do this. That's a great analysis. I concur, but would add that she's hopefully going to the highest bidder. $$$. This is exactly what I'm thinking because I felt strongly that a good co star with on par acting as her will create better synergy and sparks to do well in their respective roles. It's like a butterfly effect, and this in turn can bring the best out of each other. Like how SH and SHS did so brilliantly in FE; and how SHS and YSJ impressed with their excellent acting in 30 but 17. I might borrow some of these images if the Dan Only One Love (DOOL??) thread hasn't got updates yet. In case you like it and didn't know what the song was about. It's the song Koreans sing when they are 'sending off' someone they were holding a torch for. Some of the comments say they came because of Secret Forest. It's also the song Young Eun-Soo sent to Hwang Shi-Mok (in Secret Forest), which was a subject of much buzz during its original broadcast 2 years ago. 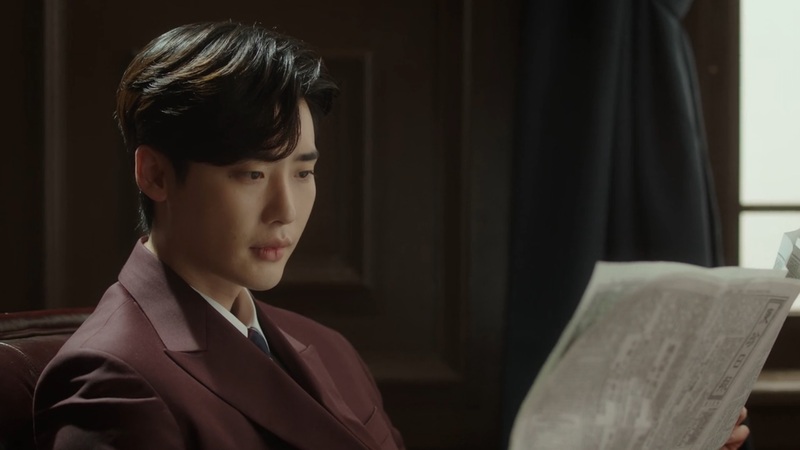 In fact there's an article saying it's one of 3 foreshadowing (clues) that Eun-Soo or the writer left about her imminent death. You can perhaps guess from the 3 photos there what these were. 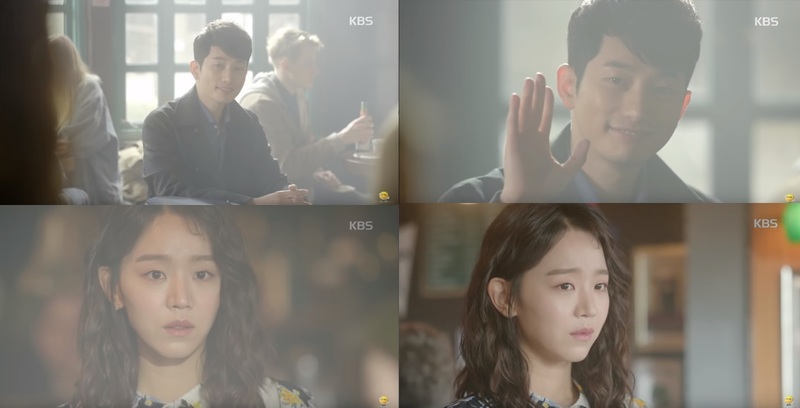 Eun-Soo sends Shi-Mok a recording of the song as a thanks for the sweater he let her borrow (although when he receives the song on his phone, he brushes it off and keeps jogging - a very funny scene), but perhaps it was a good bye. One of the other 2 clues are that the left arm of the sweater she'd washed and hung out to dry falls off the rail, and Shi-Mok had said to her "do you want to be my left hand?" in passing. And the last clue was when the killer (I won't say who in case someone hasn't seen the whole thing) looks out the room and sees Shi-Mok and Eun-Soo sitting there, there's a beam that separates the 2 of them in the frame, and they were saying it is symbolic of the 'line' that separates the living from the dead.... Funny how much that drama did and continues to get much love from all corners even now. It's definitely due to SHS' breakout performance that made SF so memorable, there's no doubt. Happy MLK Day, everyone, if you're in a part of the world that celebrates! Hi, i'm a new here. I just when to express my thoughts when i read about what you guys think about Infinite L. Since i'm an inspirit which is infinite fan and also a fan of SHS, i hope u guys give some consideration towards L. I know he is someone who is very careful when it comes to communicate freely with any actress. Thus, he might not treat SHS like her other previous costars. As he is also an idol, which also restricted his freedom to be very friendly towards any actress in order to avoid rumours. But, i believe when it comes to acting, he can give full 100 percent he is a very determined person. You guys can give a try to watch Miss Hammurabi if you are curious about his acting skill. Hope you guys not feel offended with my thoughts.